The nation’s second-largest cable company aims to embrace cord cutters with service starting at $10 per month. It sounds like Comcast might not be the only cable giant to soon offer streaming video to cord cutters. Citing “reliable sources,” Engadget reports that Time Warner Cable will announce its own streaming-video service, starting at $10 per month. This “Starter” package would likely offer about 20 channels, covering all the major broadcast networks. For $20 per month, Time Warner may throw in Showtime and Starz, while a $50-per-month “Standard” package would include roughly 70 cable channels plus Showtime and Starz. To sweeten the deal, Time Warner will reportedly give subscribers a free Roku 3 player, at least in New York City where the service will launch in beta. Live channel streams will be available through an app, similar to the one Time Warner already offers for cable subscribers on Roku, Xbox, Android, iOS, Kindle Fire, and Samsung smart TVs. Subscribers will be able to log into individual channel apps for on-demand video, Engadget reports. Over the summer, Comcast announced a similar initiative called Stream, priced at $15 per month, with all the major broadcast networks and HBO. But with Comcast Stream, the emphasis is more on mobile devices, with no live-streaming app for set-top boxes such as Roku. Comcast also isn’t offering any larger streaming packages for those who want lots of channels without renting a cable box. 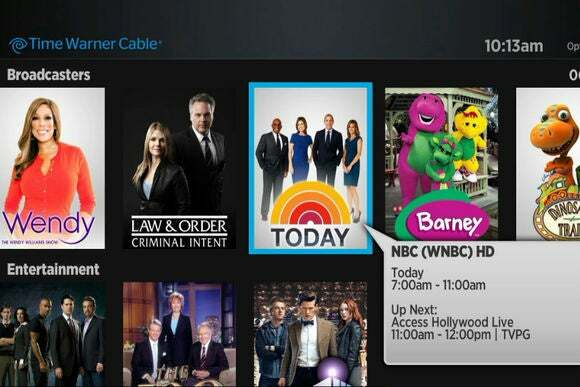 As with Comcast’s service, Time Warner’s live streaming app will only work inside the home, Engadget reports. But channels that offer their own cable-authenticated apps (such as Showtime Anytime, Fox Now, and NBC) should work from anywhere. Why this matters: Now that cable-TV subscriptions are in decline, cable companies are realizing they must compete with over-the-top streaming services such as Netflix and Amazon Prime. That means they must offer greater flexibility—both in terms of how you watch and what you pay—and drop the clunky cable box that often makes pay TV prohibitively expensive. Time Warner’s rumored streaming service may not be the best deal for everyone, especially if you can get broadcast channels for free with an antenna, but it’s a welcome sign of change in an industry notorious for resisting it.